A unique attractive heart shaped plastic mug can be availed by our clients. 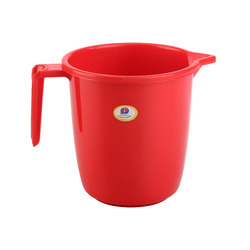 This plastic mug is available with long sturdy handle foe longer life of the product convenience of use. Ceramic mugs with your logo. Good quality plastic for years of leak proof and rustproof use. Sturdy handle. Designed for free flow of water without spills. 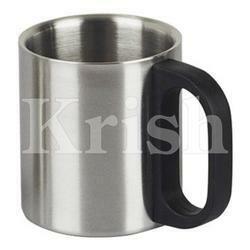 We are among the reputed organizations, deeply engaged in offering an optimum quality range of White Tool Mug. Neon apparels provides mugs in bulk quantities containing the company logo in beautiful colours which emits brightness with its colourful presence and artistic designs that attract not only your office staff but also your clients.